No Sidelines: If I were to put his speech into written word, it would illegible. Perhaps it was a stroke that led to his way of communicating, but the cause is not important. However, it is important that he has not given up... ever. What is motivational about this man is that he refuses to sit on the sidelines for the remainder of his life. 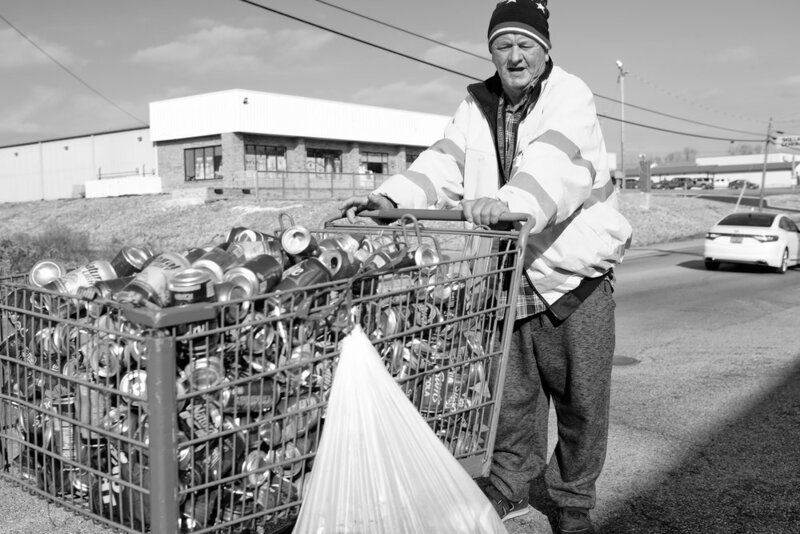 He pushes a shopping cart, struggling to walk up hills while collecting cans to sell as scrap metal.